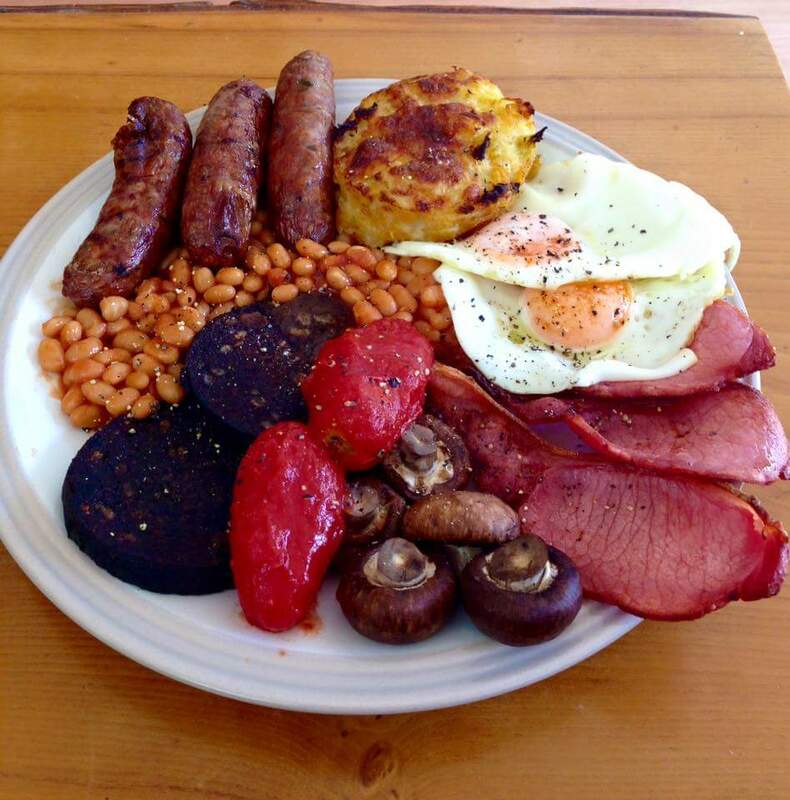 This beautiful fryup was sent to me by shady underworld kingpin and Fry Up Criminal ‘Yrag’. As well as being beautifully presented, the sheer quality of the ingredients here are a joy to behold. All cooked perfectly and a cheeky snub to tinned tomato deniers right at the front. The pork, parsley, chive, sage and lemon zest sausages deserve a special mention, his talented lad made them.